Homme House is an elegant, family-owned Georgian country house. 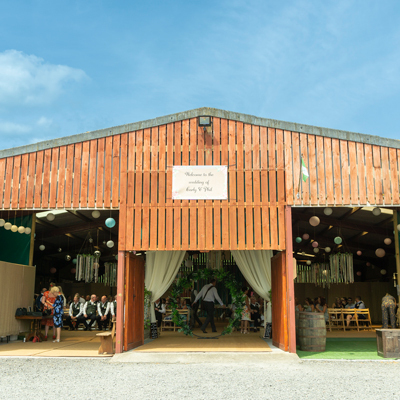 It stands in over 150 acres of historic parkland, woodland and beautiful gardens in rural Herefordshire with stunning views of the Malvern Hills and Cotswolds beyond. Homme is both an elegant country house and a relaxed and welcoming family home. The house and grounds are offered for couples to use as their own, with a number of options for wedding ceremonies and celebrations inside and out. 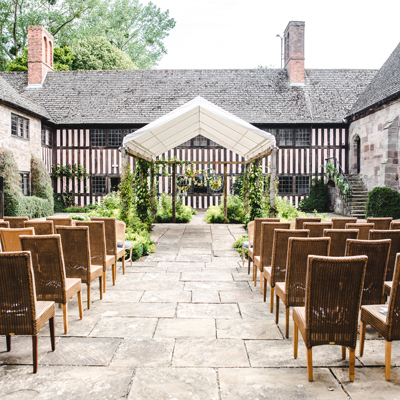 The local parish church is nestled on the edge of the Homme House estate, while 3 spaces in the house and Homme’s picturesque 17th century Summerhouse in the walled garden are licensed for civil ceremonies. 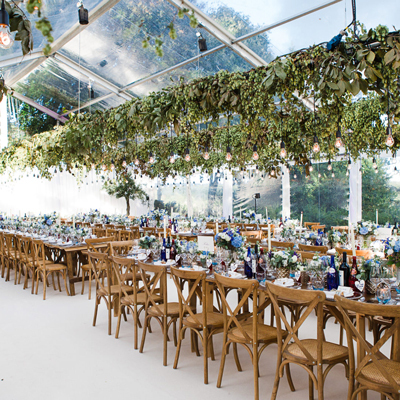 The light and airy Dining Room seats up to 90 for the wedding breakfast, and a marquee can be connected directly to the Panelled Room for celebrations of up to 140 guests. Open to the garden in the warmer months, the house is warm and cosy in winter with open fires in the Panelled Room and Library. Homme’s stunning Bridal Suite is bathed in light with views of the gardens and parkland beyond, with an adjacent Bridal drawing room for preparations on the wedding day. A further 8 double bedrooms are available in the main house, while Homme’s 18th century Coach House offers 4 double en suite bedrooms in a cosy separate house with its own private courtyard garden – perfect for couples hoping to accommodate both sides of the family in relaxed elegance without the bride and groom coming together before ‘I do’.